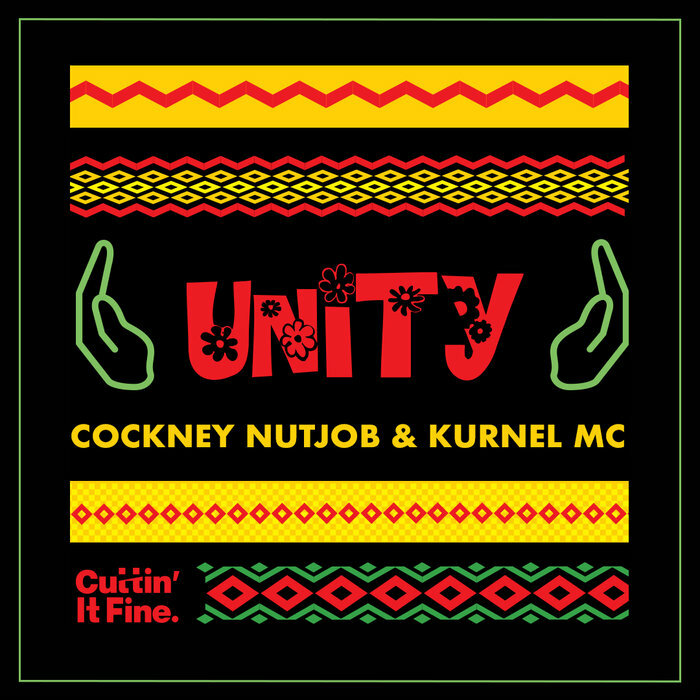 And just like that it's time to dive back into a bag of breakbeat brilliance as Cockney Nutjob and Kurnel MC join forces with Cuttin' It Fine across four brand new originals. The title track 'Unity' packs a real punch between the soulful groovy sample chops and enthused vocal lines, before we float into the more uplifting progressions of 'Drenched'. Next, we amble into the viewing of 'Parents Anthem' which again builds on harmonic structures and charming chord movements, before we finish up the release with a look at 'Get it', a pleasing breaksy roller, designed to lift the mood of any dance.